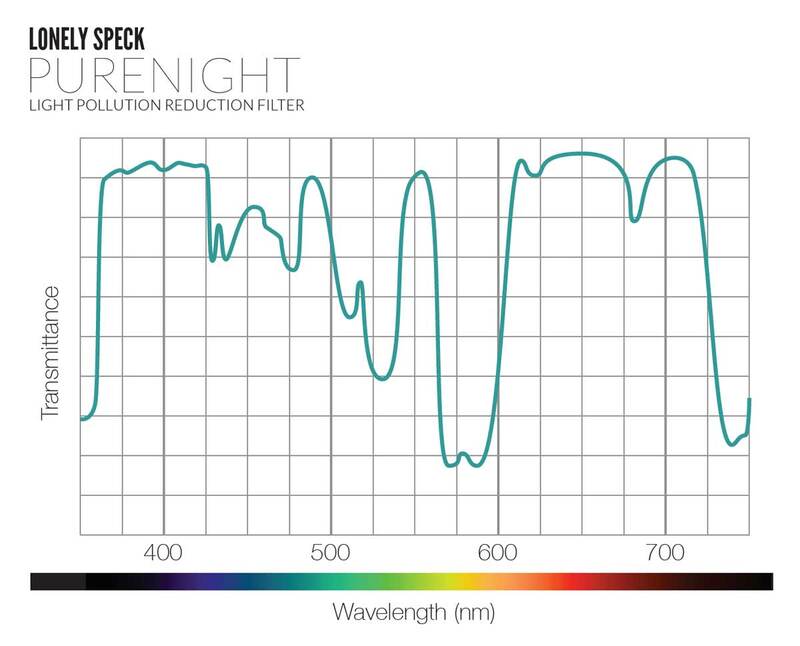 Below are the most frequently asked questions for the PureNight Light Pollution Reduction Filter by Lonely Speck. If you have a question not covered here, please ask in the comments section at the bottom of this page or contact us directly. How do I care for my PureNight filter? PureNight should only be cleaned with a clean microfiber cloth and a lens cleaning solution safe for coated optical glass. 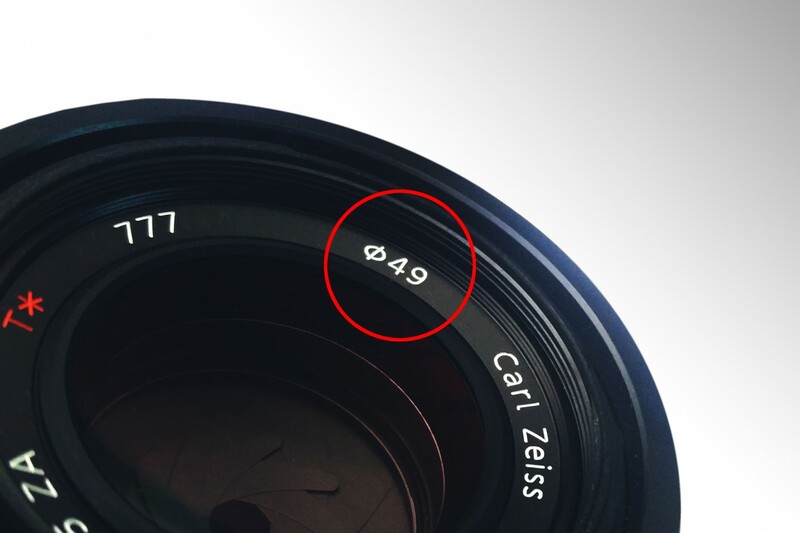 We recommend Zeiss Lens Cleaner. Please note: We do NOT recommend use of lens cleaning solution on the SharpStar, as it will damage it. PureNight is currently only available to order via the Lonely Speck website. How can PureNight improve my night photography? 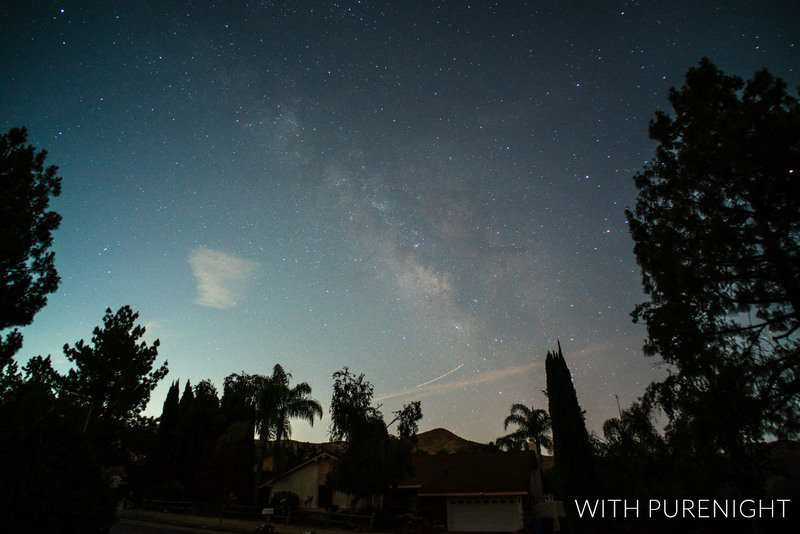 PureNight will improve the colors and contrast of an image taken in any location impacted by light pollution. You cannot achieve the same level of improvements with post-processing. 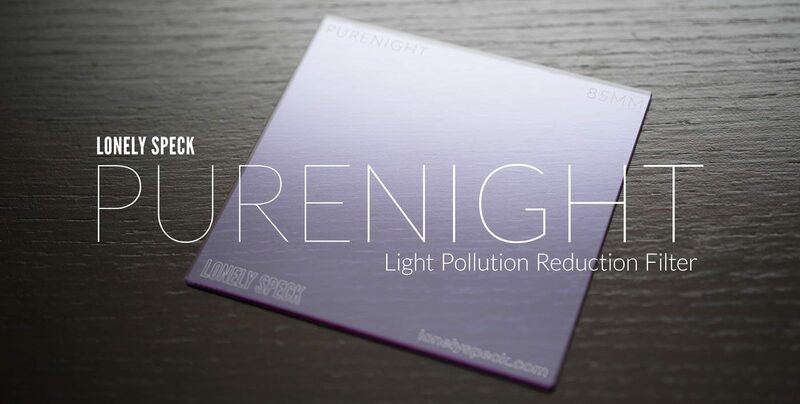 Why is light pollution a problem and how does PureNight help? 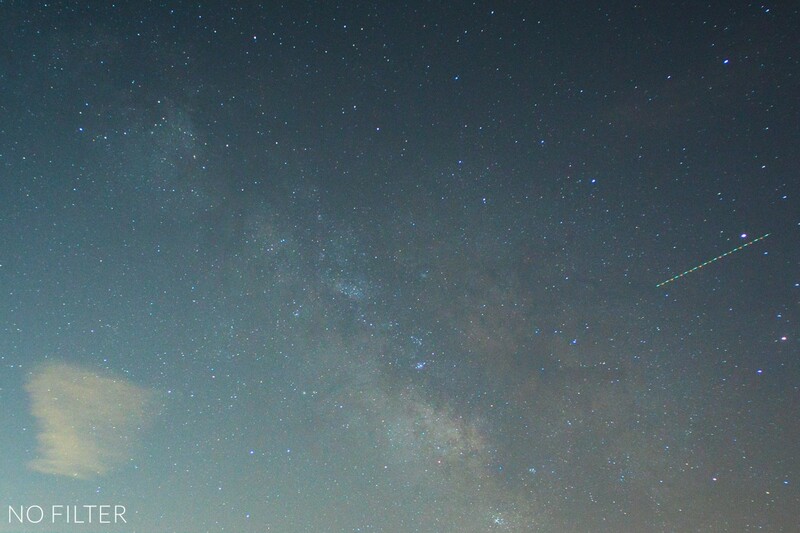 Light pollution is a problem that astrophotographers face across the world. Sodium vapor lamps are very commonly used in industrial and street lighting, and light pollution from these lamps can be visible in photos from a hundred miles away. 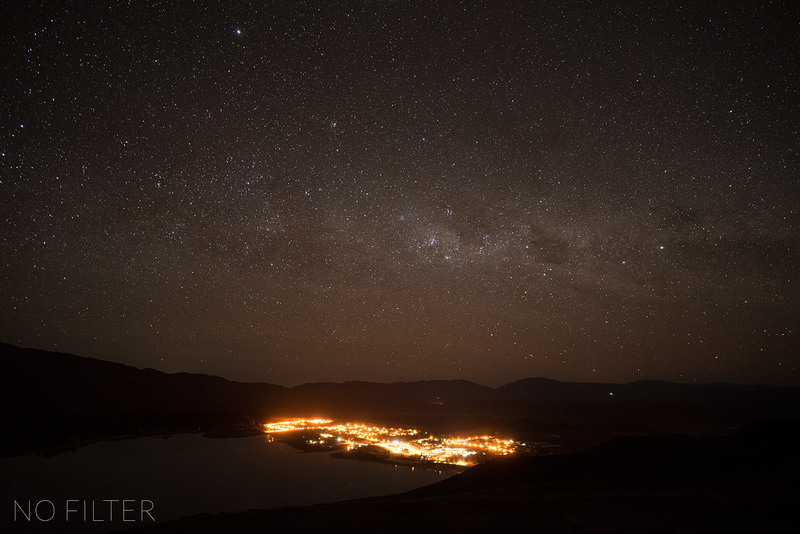 Even dark sky destinations are impacted by light pollution, as shown in the photo below of Tekapo, New Zealand. The PureNight is made of didymium glass, which filters out sodium light to give the photographer an image vastly less impacted by any surrounding light pollution. In what situations will PureNight make a difference? The PureNight will make a noticeable improvement in the quality of your night sky images in any location with a city, town, or other source of light pollution influencing your image. In today’s world, places without any influence of light pollution are few and far between. 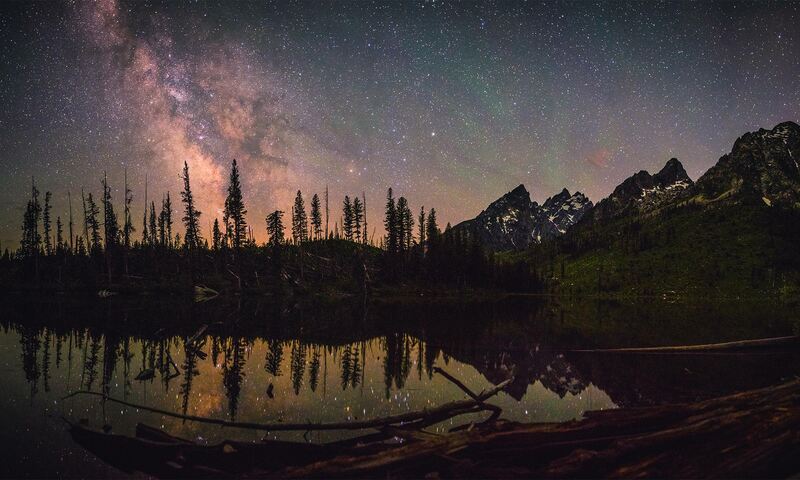 In the U.S. light pollution affects even the darkest skies, including national parks located many miles from the nearest artificial light source. Even under the extremely dark skies of Death Valley, California, light pollution is still present and will impact your photography. In downtown city skies, the PureNight won’t magically reveal the Milky Way, but it will filter out the ugly orange tinge of sodium lamps for more natural looking urban nightscapes. How does the PureNight filter work? PureNight blocks the transmission of yellow-orange light between about 575nm and 600nm wavelengths, the same wavelength as sodium vapor lamps. In the example above with the PureNight installed, notice the drastic intensity change in the yellow-orange lights of the town, resulting in a more pleasant night sky image. Below is a transmission curve of the PureNight. What kind of improvements can I expect from the PureNight? The benefits of PureNight extend beyond the noticeable improvement in the colors of the image. 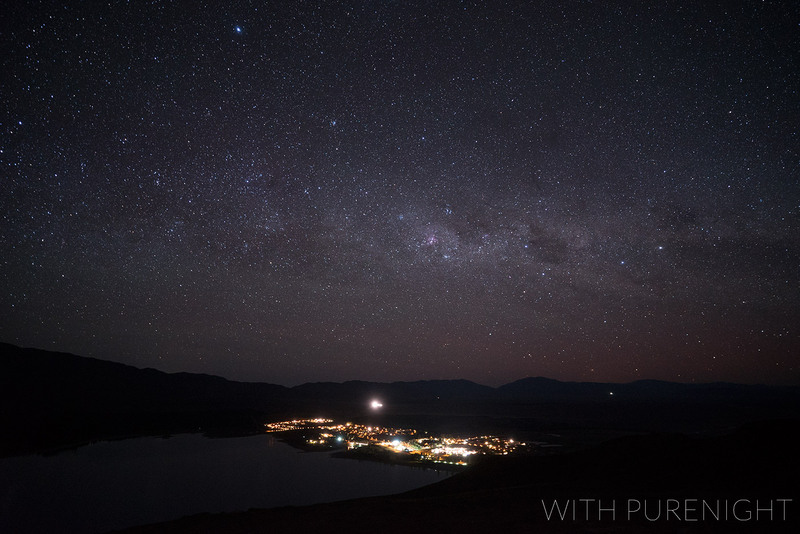 The biggest advantage of the PureNight is an increase in contrast in light polluted areas. Light pollution reduces contrast by illuminating moisture and particles in the air. Filtering out this light makes the surrounding sky darker. An example of this improvement can be made by making a comparison between a filtered and non-filtered image and adjusting them in post processing to match in both white balance and exposure. How does PureNight differ from a Red Intensifier like the Hoya Intensifier? We love the Hoya Red Intensifier. It’s certainly an affordable didymium filter option that we recommend. Limited availability of the Hoya Intensifier and the lack of a square version led us to pursue the design of the PureNight. We use an improved filtration glass with stronger filtration properties than the Hoya Intensifier. 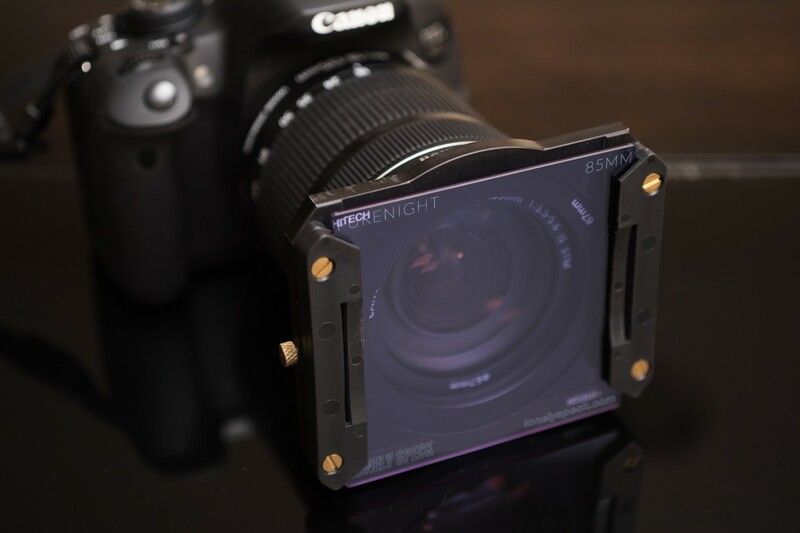 PureNight is available for square filter systems (85mm, 100mm and 150mm sizes). This allows photographers to use a single filter system across their lens collection. The final improvement: the Hoya Intensifier is made of uncoated or single coated glass which is drastically worse in flare-inducing conditions (e.g. if there is a bright light source against a dark background). To improve upon this shortcoming, PureNight is multi-coated for highly anti-reflective properties that greatly improve contrast and reduce flare. Which filter holder do you recommend? In this example, the lens shown has a filter diameter of 49mm. Depending on your lens’s filter diameter size, we recommend the following systems. (In general, pick the system size that’s larger than the thread diameter of your lens). Shipping fees vary by country. Our international orders are shipped via USPS first-class mail and usually take at least 7-14 business days to arrive. Tracking may or may not be available depending on the international destination. As the buyer, you are responsible for any import taxes (VAT, etc. ), duties and custom fees that your country may impose at the time of receipt of the shipment. All international shipments are marked on the customs form as “Merchandise” with an accurate description of the value and contents (“Photographic Filter”) and labeled with the proper six digit HS Tariff Code for photographic filters: 900220. Please check with your local postal service for status updates on your order once it has left the USA. For further questions, just ask in the comments below or contact us directly. Have you done any testing around portable LED lighting towers, the application I’m looking to use it in has about 97% LED light, 3% irradessent light. The result would highly depend on the spectrum of the LED lights. Many LED lights cover a much broader band of the visible spectrum than is filtered by the PureNight. I am new to astrophotography. What advantage would this filter provide versus changing the color balance to more of a blue? The PureNight targets yellow-orange tones directly, rather than affecting all colors as a color balance adjustment would. 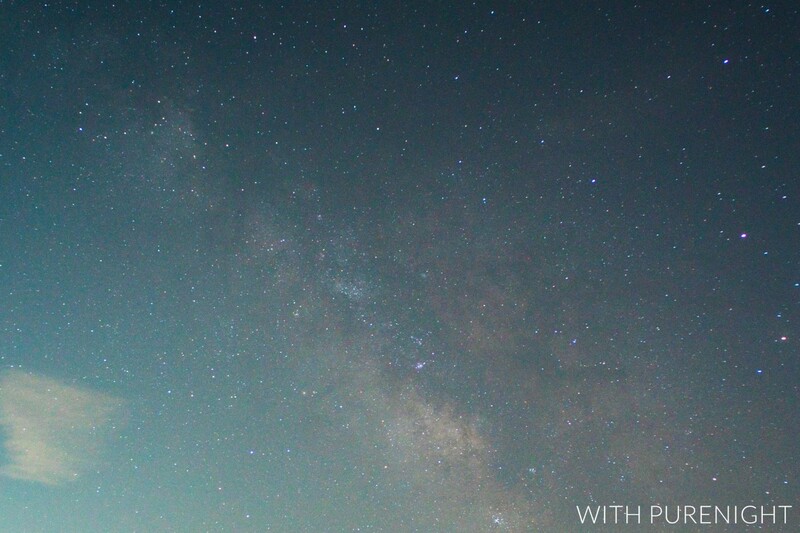 By directly eliminating the light pollution, the filter also increases contrast among the colors that remain in the night sky. I have a NISI V5 Pro Filter system. Will this be compatible? Brian E, this is what I am currently using and it works very, very well. I’ve had no issues at all. Yes, the our 100mm filters work well on the V5 Pro 100mm system.